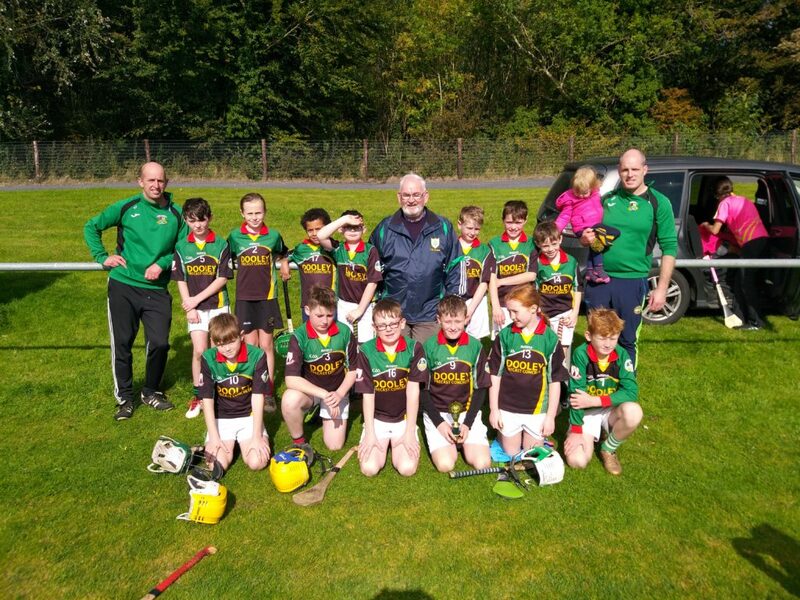 Coolderry GAA welcomed Lusmagh, CRC Gaels and Ballyskenagh/Killavilla GAA Clubs to Coolderry on 29th September to host the annual Fr. 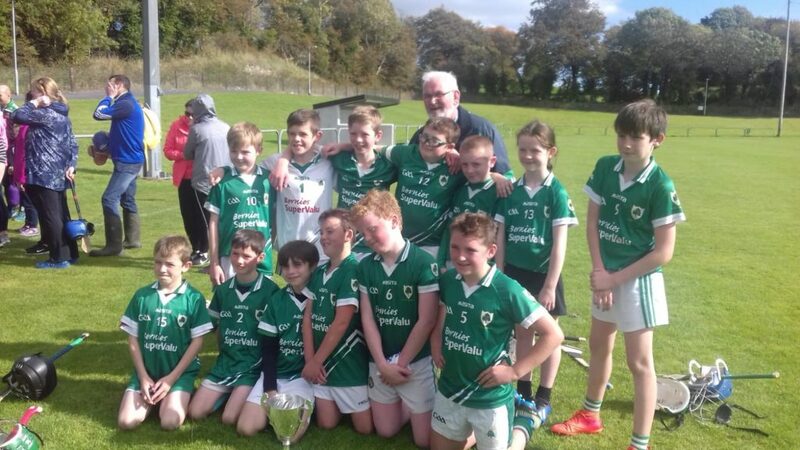 Christy Kennedy Cup. 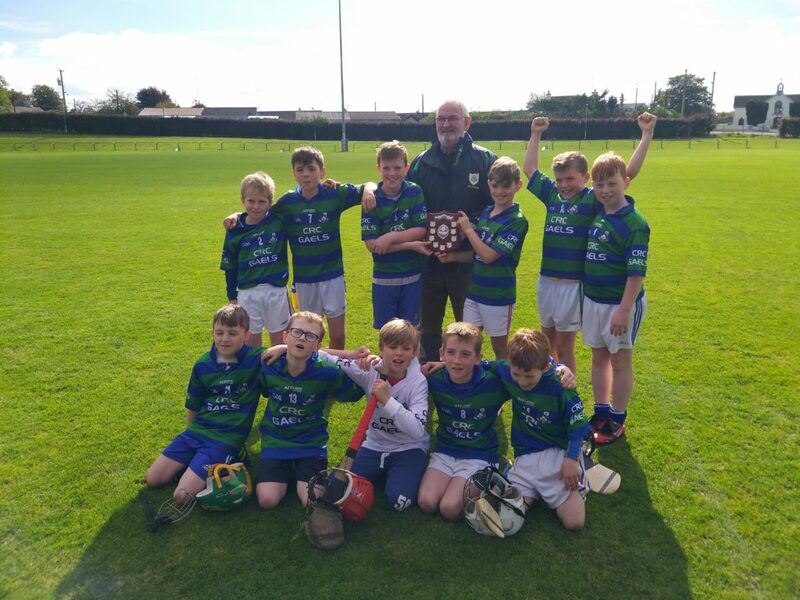 Four great U11 teams lined out and played some fantastic hurling on a beautiful Saturday morning in ideal conditions. 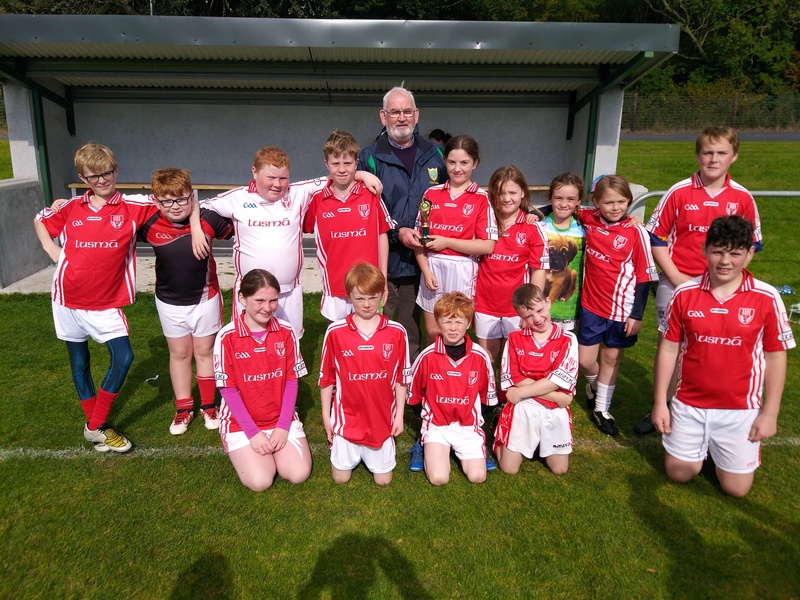 After some very competitive matches with great skill, commitment and effort on display from all teams Lusmagh and CRC Gaels progressed to the Shield final while Coolderry and Ballyskenagh/Killavilla were set to contest the Cup final. Two thrilling finals were played with some fantastic scores and displays of attacking and defending play. CRC Gaels emerged as winners of the Shield final while Coolderry managed to hold off their near neighbours in the Cup final and bring the Cup back to Coolderry (after it had left for a brief holiday to Kilkenny last year!). Thanks to all the mentors, supporters and especially the players who made the competition a great success. 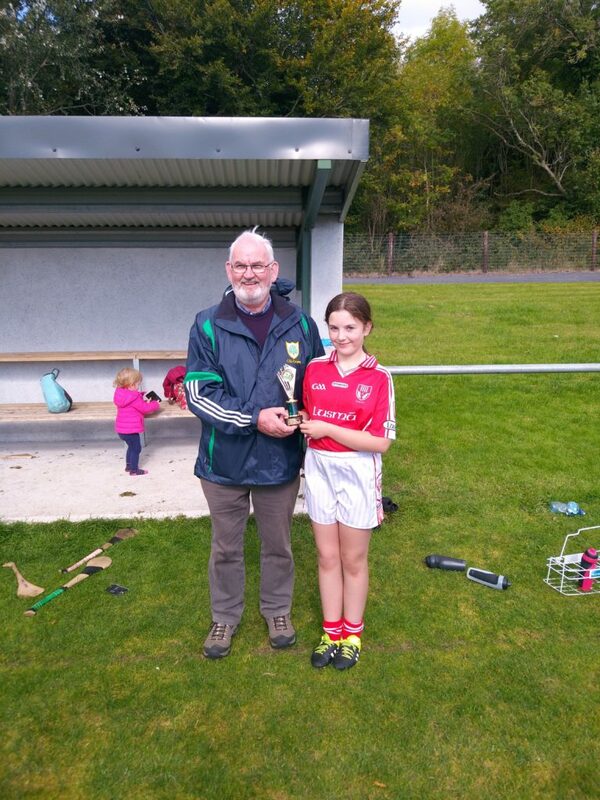 Special thanks to the Kennedy family for supporting the competition which is held in honour of a great Coolderry supporter. 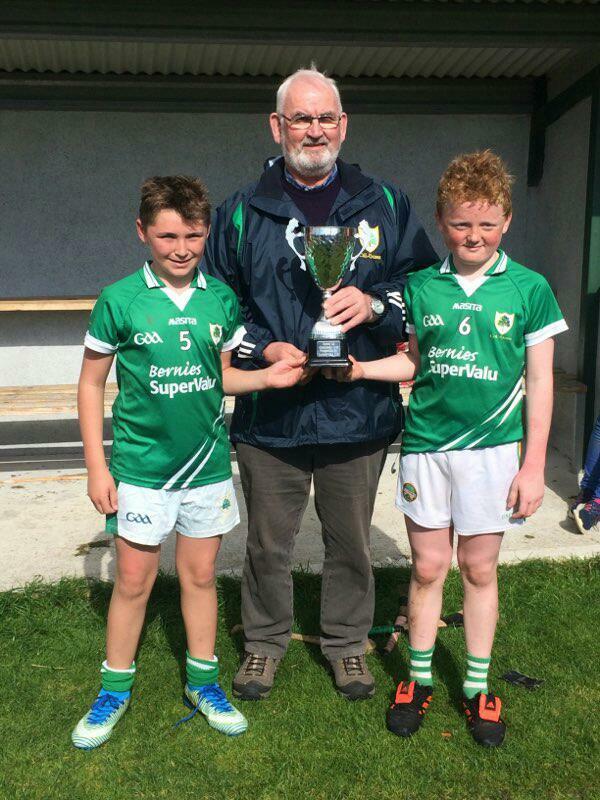 Oliver Kennedy was on hand to present the teams with their trophies on behalf of the Kennedy family. Thanks also to all those who provided and served refreshments on the day. This entry was posted in Juvenile Club. Bookmark the permalink.